Ocean Boulevard runs along the coast in the Myrtle Beach area and well captures the character of the towns and neighborhoods that dot its course. 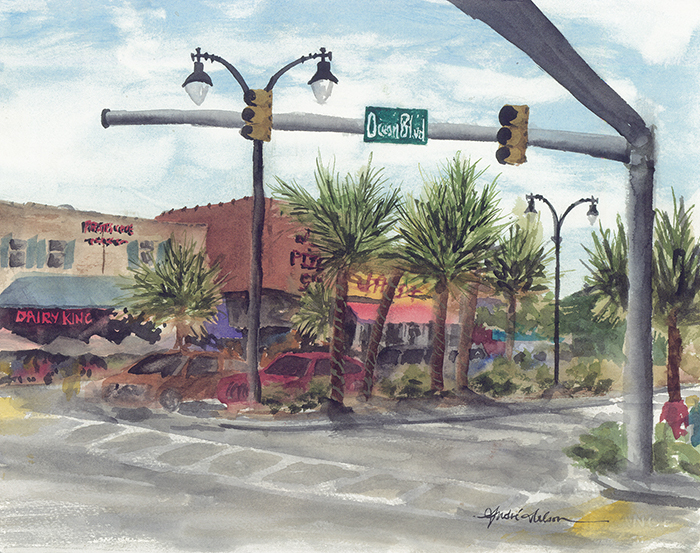 This painting features the intersection of North Myrtle Beach’s Main Street with Ocean Blvd, a hub of activity for vacationers and locals alike. I was struck by the color and commotion of the area in the mid-afternoon and decided to park myself for a quick pleine-aire painting.